I have several concealers that I really love in my makeup collection, but I'm still always on the hunt for that one holy grail concealer that puts all the rest to shame. Which is why I'm constantly buying new ones even though I've got a drawer full of them already. When I can find a concealer that's budget-friendly, I feel a little bit less guilty about buying another -- so I was pretty excited to give the L.A. Girl PRO Conceal High-Definition Concealer a try. And I'd seen plenty of good reviews of it, so it definitely seemed like it was a worth a gamble. The PRO Conceal comes in a plastic squeeze tube that contains 8 grams of product. It has a brush tip applicator, which I'm not crazy about for a variety of reasons, mainly because I find that I never get the right amount of product. I've found that swiping the brush tip over my finger and then applying it to my face is the best way to avoid applying too much concealer. The concealer has a really nice formula -- it has a fairly thick consistency, but it's extremely creamy and blends into the skin very easily. That makes it an ideal option for under the eyes because you don't have to worry about pulling or tugging as you apply it. There's also minimal creasing -- I usually don't notice any until the end of the day, and that happens with many of my favorite high-end concealers too. The PRO Conceal offers pretty full coverage too, so it also works well for acne, scars, and other discolorations on the face. 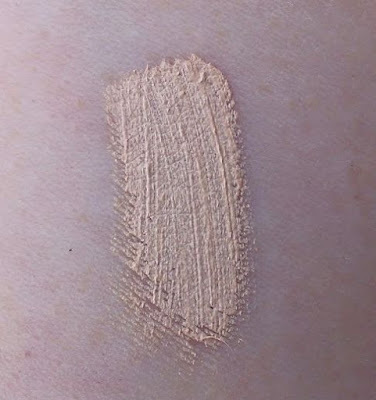 When I purchased the concealer several months back, Classic Ivory was the lightest shade (they've now Porcelain and Light shades, and I might have to pick one -- or both -- of them up). It's probably a little darker than my skin, but it has a nice peachy tone so it works well as a corrector under my eyes, which is primarily how I use it. If you're in the market for a full coverage concealer, I would definitely recommend giving this one a try. It retails for $5 and you can purchase it at the L.A. Girl website. Have you tried the L.A. Girl PRO Conceal High-Definition Concealer? What's your favorite concealer these days?